When looking for a company that handles Santa Clarita E-Waste Recycling, one thing to focus on is transparency. 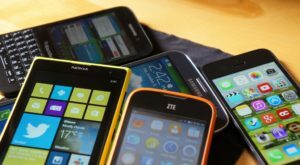 Households or companies need to hire a reputable recycler like All Green Electronics Recycling, which handles the all-important function of data destruction. Information is wealth. This is why a lot of people would do anything to get great information. If you own a business, it’s part of your responsibility to protect your client’s information. This recycler has a tightly integrated data destruction service to a centrally managed Information Technology Asset Disposition process. It adheres to the principles of transparency and accountability. Clients can follow a chain of custody that indicates where the process is currently at. Clients can also ask for a certified data security report. This can be used as proof that digital wiping was accomplished. 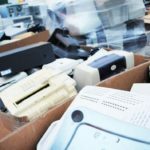 According to All Green Electronics Recycling, there are multiple levels to a bulletproof data destruction process. But it is better understood in just two categories: digital wiping and physical destruction. Both are important and complement each other. Santa Clarita E-Waste Recycling is important to protect the integrity of the information that customers have entrusted to a company. It follows the highest standards in permanently deleting data and preventing data breach. The recycler boasts of a military-grade digital-wiping system. Do you have old electronics cluttering up your attic or garage? S.P.A.R.C. Animal Shelter and All Green Electronics Recycling have teamed up to host an event to help you get rid of them responsibly–absolutely free of charge! Members of the community and businesses are encouraged to clean out their garage or attic and donate their old electronics to a good cause. Bring all of your old electronics to the event, including, but not limited to: computers, monitors, televisions, printers, mobile phones, laptops, DVD players, VCRs, microwaves, calculators, iPods, cables and wires, telephones, fax machines, scanners, computer parts, and more. All Green Electronics Recycling promises to recycle everything it accepts in North America and to never send electronics to a landfill or overseas for processing. Certified Data Destruction is available for a small fee at all of our events.